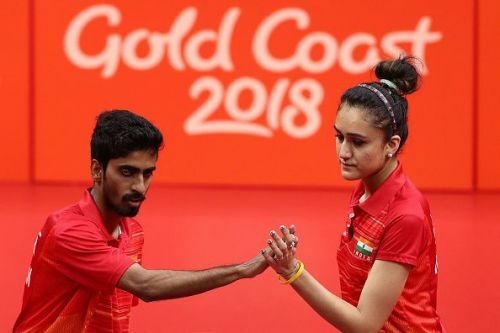 Top Indian paddlers Manika Batra and Sathiyan Gnanasekaran both created records as the new table tennis rankings were announced by the International Table Tennis Federation (ITTF) end of last month. While Batra became the only Indian woman to break into the top 50 of the world rankings at 47th, Sathiyan’s new career-best ranking of 28th made him the highest-ranked Indian table tennis player ever. Batra’s performance at the Hungarian Open held in Budapest in January was responsible for her rise of four spots. Her Round of 16 finish at that World Tour event awarded her 720 points. Batra, who won the Commonwealth Games gold last year, had been steadily rising up the ranking chart over the past few years. She even partnered the veteran Achanta Sharath Kamal to a mixed doubles bronze at the Asian Games -- only the second ever table tennis medal for India from the Asiad. The 23-year-old took to Twitter to express her delight and also thanked everyone for the continued support. Sathiyan’s meagre 180 points from the Hungarian Open was not counted towards his ranking but he was still able to surge three places from his earlier ranking of 31. It helped him pip Sharath Kamal to become the country’s top-ranked men’s paddler. “It feels really amazing to reach my career-high world ranking of 28 and thus becoming the first ever Indian to enter into the top 20s in the latest ITTF World Rankings list,” the 26-year-old told Table Tennis India after his achievement. Sharath Kamal, meanwhile, dropped three places to 33 from his best-ever ranking of 30th. Achanta, however, had the 180 points from the Hungarian Open considered for his ranking calculation. The 36-year-old, who helped the Indian men’s team win a first-ever medal from the Asian Games last year, was recently honoured with the prestigious Padma Shri award.